Dexter Daily: Rewatching Dexter - 5.07 "Circle Us", 5.08 "Take It! 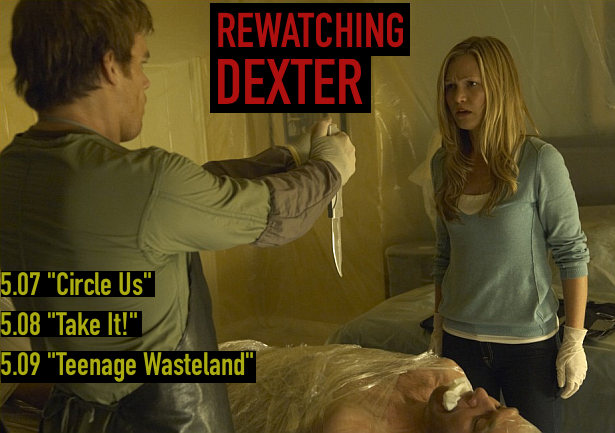 ", 5.09 "Teenage Wasteland"
Rewatching Dexter - 5.07 "Circle Us", 5.08 "Take It! ", 5.09 "Teenage Wasteland"
Rewatching Dexter by DexterDaily. 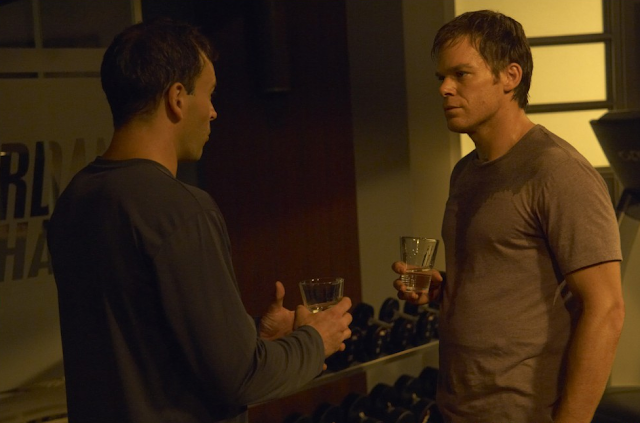 A look back at the past seasons of 'Dexter' and our favorite serial killer's victims. Today, we're going to remember three more episodes from the fifth season: 5.07 "Circle Us", 5.08 "Take It! ", 5.09 "Teenage Wasteland". Hit the 'read more' button for more! Having identified one of Lumen's attackers, Cole Harmon, Dexter set out to do what he does best. He attends one of Jordan Chase's seminars and the plan is to rent a hotel room next to Cole Harmon, who is Chase's head of security, and eliminate him there. He shows Lumen how to prepare a killing room but events don't quite unfold as planned. In the end, Dexter gets a vital clue that identifies another of the men who attacked her. Lumen also has to deal with her ex-fiancé who suddenly shows up in Miami. At the station, the fallout from the shootings at the night club begins to take its toll. 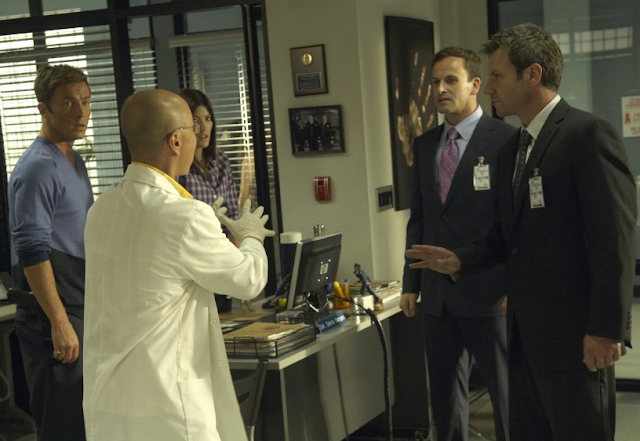 It's pretty obvious that Lt. Laguerta isn't going to take the rap for the botched operation. Debra sees the writing on the wall when Angel Batista tells her he hasn't written his report yet and is still going over what happened. She feels betrayed by an unexpected source but also gets support where she least expects it. Dexter's victim: Cole Harmon. He kidnapped, tortured and raped women, including Lumen. Stabbed in the chest.